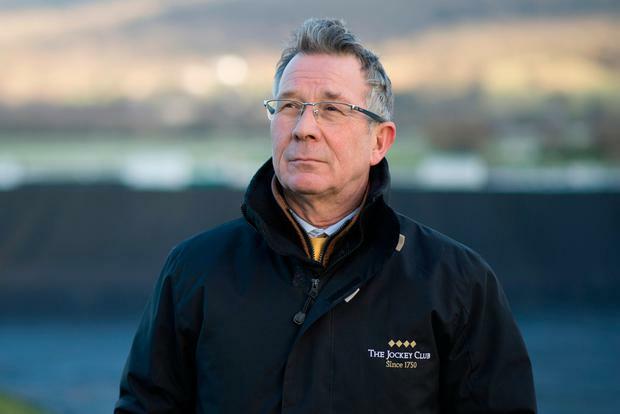 Cheltenham's clerk of the course Simon Claisse updated the ground at the track yesterday morning to feature the word good but bookmakers Ladbrokes have cut the odds on heavy ground for the start of the meeting, writes Niall Cronin. The ground at Cheltenham is now soft, good to soft in places, but Claisse admitted that heavy may feature in the description before tomorrow week if the latest weather forecast is accurate. Bookmakers have adjusted the odds of heavy ground for the start of the Cheltenham Festival from 25/1 into 9/1 after "a flurry of bets" and the latest update from the racecourse according to Nicola McGeady of Ladbrokes, and Claisse is expecting heavy rainfall later this week. Claisse was trying his best to stay optimistic. "It looks as if with this milder weather it's going to stay unsettled, with bits and pieces of rain which will probably keep the ground where it is," he said. "Friday-Saturday looks like it could be pretty wet, with 10 or 12 millimetres - half an inch of rain. "We may have heavy in places before we start, but let's remember that there have been plenty of years when we've been soft the weekend before the Festival and have ended up good by the Friday." Soft ground to be the official description for the Supreme Novices' Hurdle, is still just about odds against with Ladbrokes who are 11/10 from 13/8 about that going report, while the usually dependable "good to soft" for the opening day is now 4/5 from 4/7. The prospect of soft or heavy ground next week has meant that Henry de Bromhead still hasn't ruled out switching Monalee from the RSA Novice' Chase to the JLT over three furlongs shorter. Speaking yesterday morning, de Bromead said: "We'd be leaning towards the RSA on what you would call normal Festival ground. That would be our preference, but if it came up soft or heavy, maybe we'd start looking at the JLT a little bit more. We'll see what way the ground is nearer the time, but at the moment our preference would be the RSA."